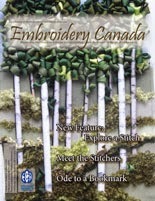 To all dedicated The Needle and Thread Network contributors and readers. I have thoroughly enjoyed being your host for last hundred or so "WIP Wednesdays" and dozen or so "Feature Fridays". Your ideas, writing, photos, and mostly, your stories have inspired, excited, and saddened me. Thank you for sharing them. I believe that it is important for everyone to tell their stories. Please don't stop what you are doing. I hope you welcome Nicole, your new TN&TN host, with the same kindness that you gave me when took the reins from Monika. Nicole is incredibly creative (just look at her photos!) and is passionate about quilting. Please about your new host below. And please, keep on stitchin' ! 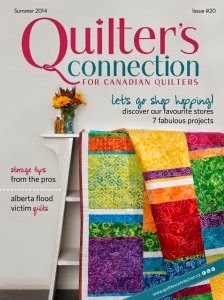 Hi everyone, I'm Nicole and I like quilts very much. I started blogging in fall 2015 under the name "Handwrought Quilts," I chose that name because handwrought is an old word meaning fashioned by hand or chiefly by hand processes. I think it fits perfectly for a quilter. I live in Victoria, BC but I have also lived in Tsawwassen, Vancouver, Kelowna, Banff, Toronto, and Windsor, NS! I've been to every province except NL and none of the territories, and I love being Canadian. I have a husband, two daughters, and a part time job in a bakery. I made my first quilt in 2003 for a niece and not knowing what I was doing, I learned by making mistakes and reading library books. 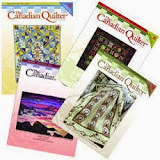 I did nothing more until 2007 when I took a 'learn to quilt sampler class' at a quilt shop. Since that class I've made 63 more quilts and one day I'll finish that sampler quilt! I can also sew garments, do basic pattern drafting, rudimentary embroidery, and I'm a whiz at Hallowe'en costumes. 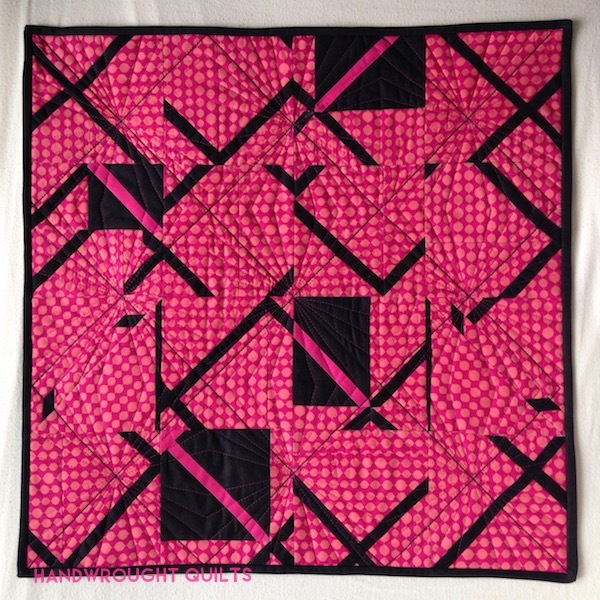 But mostly I make quilts. I define my style as “modern scrap quilter” as I prefer to use many fabrics instead of just a few. I love colour, especially the bright ones. Some recent quilting accomplishments include: having a piece juried into a show (and selling the piece! ), teaching beginning quilting at a local shop, and I’ve just stepped down after 3.5 years of being President for the Victoria Modern Quilt Guild (which I co-founded in 2013). What lies ahead…submitting more quilts to shows. Writing quilt patterns. 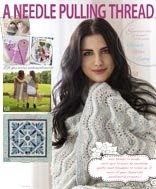 Having a quilt or pattern published. 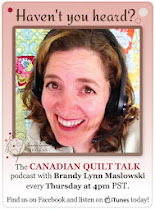 Hosting The Needle & Thread Network. 31"x32" Baby quilt for new niece. It's nice to meet you everyone! I'll see you here next week or you can visit me at Handwrought Quilts or on Instagram.